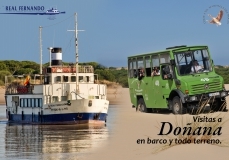 The official concessionary companies that visit Doñana National Park, Real Fernando and Coop. 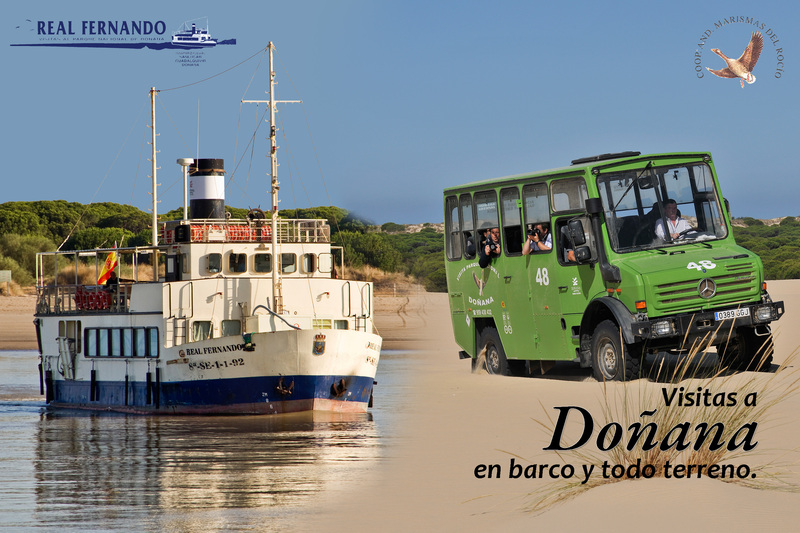 Marismas del Rocío, are organising a new itinerary that runs through all the ecosystems of Doñana in the same tour, being this the only visit that is performed by boat and four-wheel drive vehicles in Doñana. 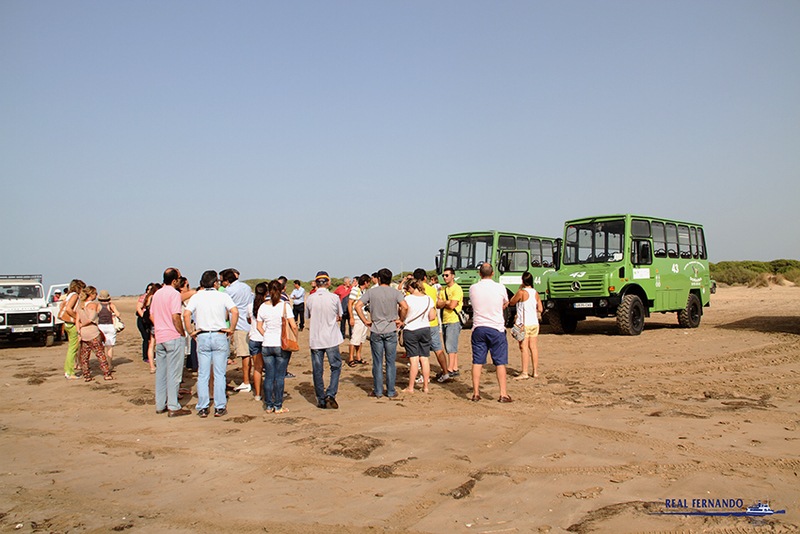 The visit starts on the beach of Bajo de Guía, in Sanlúcar de Barrameda (Cádiz). 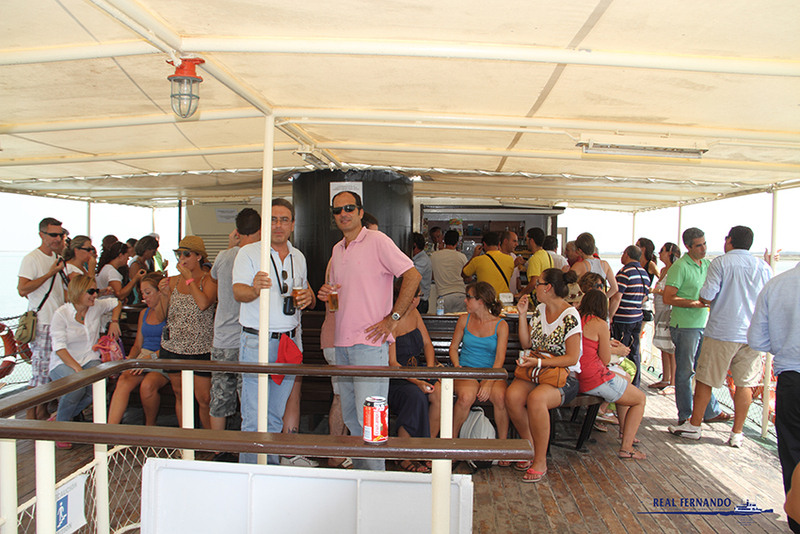 Transfer to Doñana in one of the traditional barges that cross the Guadalquivir River. 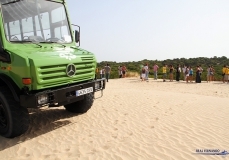 There, the visitor will start the tour in four-wheel drive vehicles (30Km approx.) 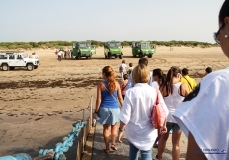 to visit the different ecosystems in the interior of Doñana: its vast beach, the famous moving dunes of white sands, the lush pine forests, and the “vera”, which marks the border between the forest and the marsh and where the park´s fauna can be found; and finally the endless plains of the Marsh, a place that hosts thousands of water birds from Central and Northern Europe in winter. The jeep tour finishes in “La Plancha”, a former village of huts where the inhabitants of Doñana used to live. 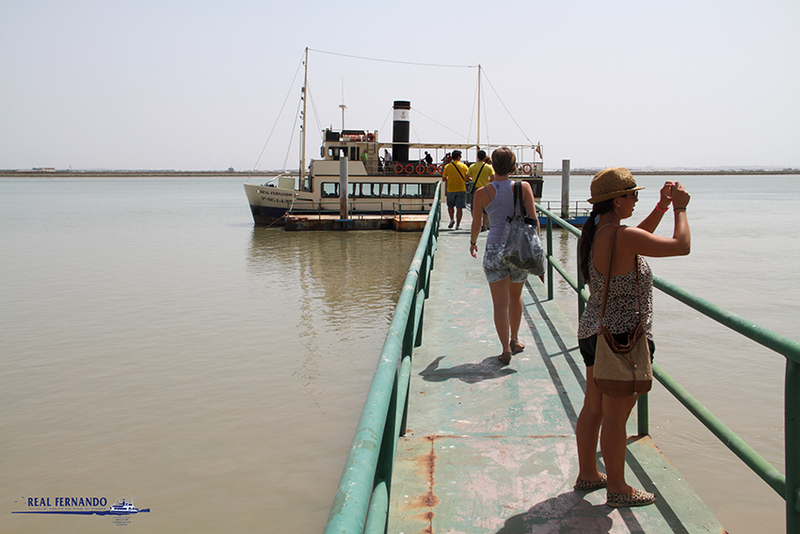 There the boat waits for the visitors to bring them to the last landscape of Doñana and to which it owes its existence: the Guadalquivir River. 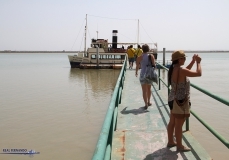 During the navigation, 30 minutes approximately, the visitor will receive explanations about the river, its banks, its origins, its fauna, etc The tour finishes back at the departure point, the beach of Bajo de Guia, in Sanlúcar de Barrameda. The duration of the tour is approximately 2.5 hours. 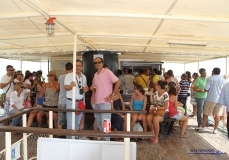 During the tour you will receive explanations by our guides and make short stops at places of interest. Tour in English under previous request only. 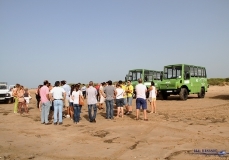 The combined tour is not recommended for pregnant women and people with neck injuries because most of the terrain is irregular. You cannot take pushchairs to the combined trip. 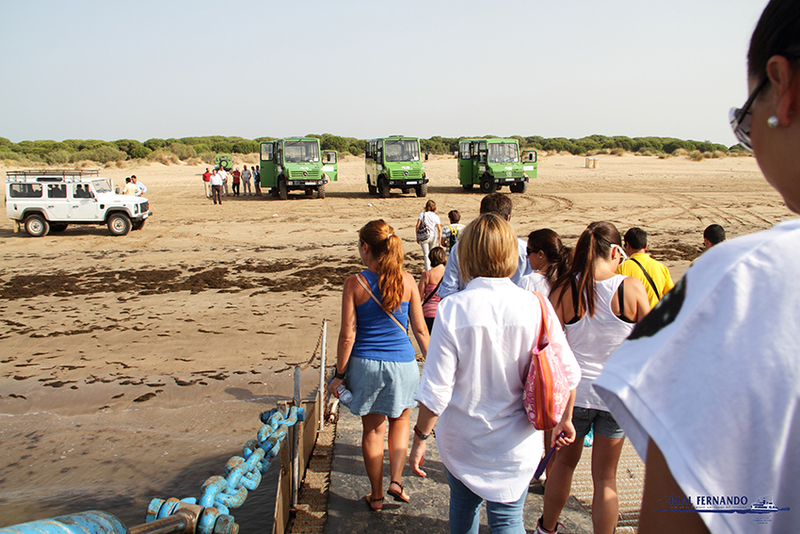 For this visit we recommend clothes and shoes for walking on the sand, insect repellent and something to drink. No refunds or changes in the bookings will be admitted. Reservation in advance required, calling (0034)956 363 813.